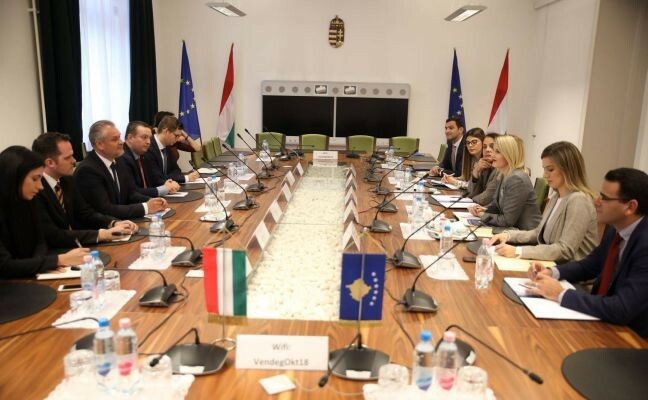 Budapest, 31 October 2018 - Minister of European Integration, Dhurata Hoxha, was hosted in a meeting by Szabolcs Takács, Minister of State for European Union Affairs at Hungary's Prime Minister's Office, where she emphasized that Kosovo should be entitled with the right to visa liberalization because it has fulfilled all the criteria for visa liberalization. The Minister also emphasized that she expects comprehensive support from Hungary's side. 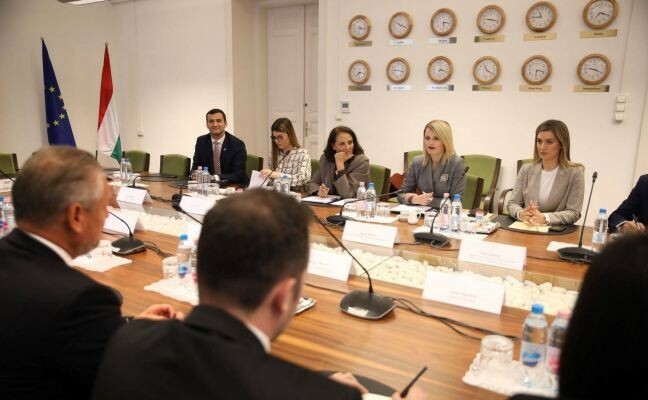 Minister Hoxha stated that Hungary has consistently supported the Kosovo integration process, therefore, she stressed, we expect you to once again stand with us in the challenges we are about to face, with the voting in the Council of Ministers being the most important issue currently. Today, when the region is fully integrated within EU enlargement plans, Kosovo is the only country without having free movement, said Minister Hoxha while adding that visa liberalization would also have a comprehensive impact on other integration processes, on the implementation of the SAA, on the European Agenda Reform, as well as on other economic reforms and those related to economic cooperation, improvement of well-being and competitiveness between local companies, vocational training, improvement of quality in education and other benefits of having free movement. Minister Hoxha requested the Hungarian Government's support regarding the visa liberalization as they will have to vote at the Council of Ministers, pointing out that all Hungarian MEPs voted in favour of visa liberalization. Szabolcs Takács, Minister of State for European Union Affairs at Hungary's Prime Minister's Office, reaffirmed the support to Kosovo, pointing out Kosovo's achievements in this process as well as the cooperation done so far for the integration process and Kosovo's membership in international organizations. He also noted that Hungary will be a supporter of Kosovo's Euro-Atlantic integration path and visa liberalization, pointing out that illegal migration should end and citizens should be free to move, while Kosovo citizens should not be discriminated against in this regard and should enjoy the rights enjoyed by the citizens of the countries of the region. 24 January 2019Raporti mbi zbatimin e PKZMSA janar-shtator 2018_Final ENG30 November 2018Raporti mbi zbatimin e ERA 1 11 2016- 30 11 2018_Final ENG13 September 2018What you should know about visa liberalization? Activities implemented in cooperation with the EU project "EUPK"